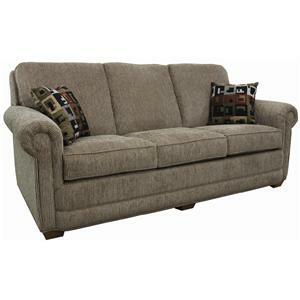 This casual sofa is one your family can enjoy throughout the years. 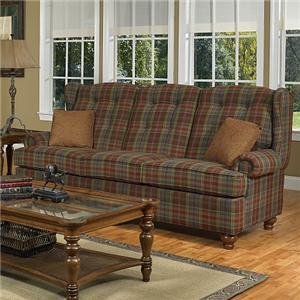 Plush seat and back cushions provide a cozy seat with padded rolled arms framing the sides. Square bun feet support the simple frame and clean tailored base. A loveseat, chair & a half and ottoman are also available to coordinate with this comfy sofa. 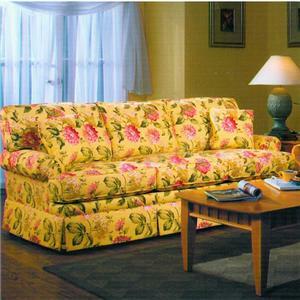 Multiple colors and fabrics are offered so you can find the perfect match for your home's decor. The 48 Casual Sofa with Rolled Arms by Lancer at Town and Country Furniture in the Hamburg, Buffalo, Lackawanna, Eden, NY area. Product availability may vary. Contact us for the most current availability on this product. Leg or Skirt Exposed square bun feet.